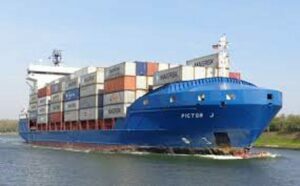 Eimskip, an Icelandic freight company headquartered in Portland, last week introduced the Pictor J, a 461-foot container ship, on the company’s trans-Atlantic shipping route between Portland and Reykjavik. It is expected to arrive in Portland on Tuesday. The Pictor J is longer, wider and faster than the Lómur, the vessel it will permanently replace on the route. The Pictor J also has nearly twice the carrying capacity – up to 925 20-foot shipping containers compared with the 505 containers the Lómur can fit. Container volume through the terminal has almost tripled since Eimskip made Portland its U.S. headquarters six years ago. Last year, Portland handled 22,325 container units, and volume is on track to grow by 40 percent in 2019, said Andrew Haines, executive vice president of Eimskip USA. “We have had a tremendous start to the year; the growth has been much larger than expected,” Haines said. The size of the current fleet won’t meet demand forever. The bustling port is unrecognizable from eight years ago, after Portland lost a weekly container service to Halifax and a short-lived feeder service to Boston. These days, towers of white shipping containers emblazoned with the blue Eimskip logo are stacked at the terminal and tractor-trailer trucks wait in lines outside it. The Maine Port Authority recently added a second crane to speed loading and unloading and is constructing new buildings to free up cargo space. “In terms of freight, it is certainly the most we have ever had by far,” said Jack Humeniuk, president of International Longshoremen’s Association Local 861. Before 2013, only a handful of the union’s 50 members were getting work, Humeniuk said. Now, pretty much everyone is working. Longshoremen recently agreed to an unprecedented six-year contract with Eimskip that included good wages and benefits, Humeniuk added. That Eimskip is bringing on a ship that can better weather North Atlantic waters and avoid delays is further evidence the company is serious about staying and growing in Portland, he said. Roughly $527 million worth of non-petroleum products were imported through the port of Portland last year, about 19 percent more than in 2016, according to federal trade statistics. Frozen fish is a dominant import in terms of cash value, but so are industrial machinery and parts, explosives, iron and steel, fish oil, mineral water and clothing. Exports from Portland reached $357 million last year, about 26 percent higher than two years before. Semiconductor devices were the leading export by value, but prepared cranberries, firearm cartridges, paperboard, frozen scallops, medical instruments and industrial machinery were also top exports. Eimskip’s trans-Atlantic line was a bright spot in an otherwise challenging financial year, according to the company’s 2018 annual report. The company took a 56 percent hit to its net earnings, down to about $8.3 million. The company attributed the disappointing results to below-expected performance of its refrigerated cargo operations in Norway and freight forwarding services in Europe. Eimskip’s business is concentrated in Scandinavia and Northern Europe. Its cargo liner service, in comparison, showed revenue and volume growth after a slow start to 2018, the company reported. The trans-Atlantic route made up 6 percent of the company’s shipping volume in 2018, compared to 4 percent just two years earlier. Almost 70 percent of Eimskip’s cargo volume is related to Iceland, with the Faroe Islands and Norway making up the remainder. The company’s “short-sea” service that transfers containers through Halifax to Southeast Asia via French shipping giant CMA CGM has been important to that growth, Haines said. There is nearly always space on vessels leaving Portland that can be used by companies that want an easier connection to Asian markets. Products are loaded onto ships in Portland, carried to Halifax and then transferred to ships bound for Southeast Asia. Haines said demand for that connection has surpassed expectations. 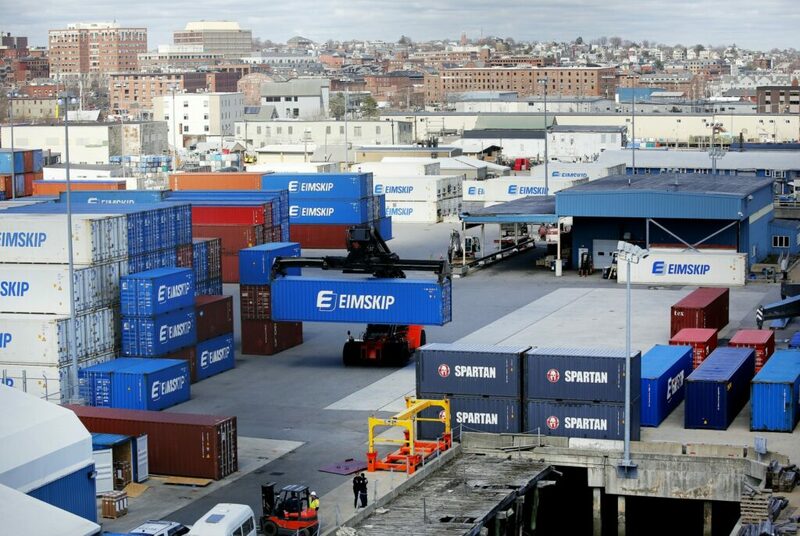 Maine Port Authority is trying to get more local companies to consider Eimskip’s service, with a new incentive that gives first-time exporters up to $800 worth of free shipping.